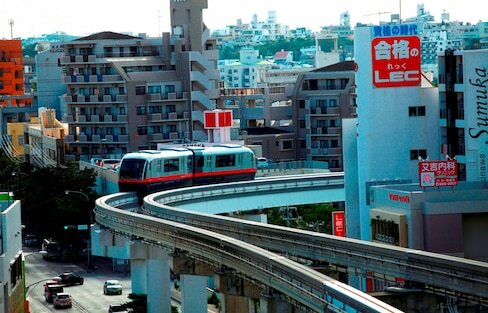 Okinawa was the only prefecture in Japan without a railway until 2003. But now the adorable Yui Rail line runs from Naha Airport to Shuri Castle, offering a convenient transportation option for travelers. Even if you have less than 500 days of summer to spend in Okinawa, taking time to make memories in romantic spots on the islands will surely last beyond your trip to this subtropical paradise! 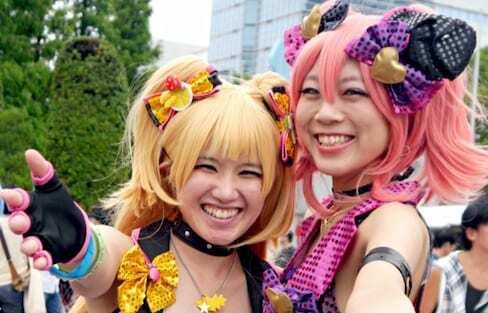 With temperatures skyrocketing, cosplayers have tapped into their creativity to create a splash of cool. Looking to come to Japan to teach? Already here and hoping to get more out of your career? This book may be for you! 20 years of economic stagnation has had an incredible effect that few people have realized: thanks to inflation everywhere else, Tokyo is now actually cheaper than most major cities in the rest of the industrialized world! The Unicorn Gundam looks out over Tokyo from nearly 20 meters above the ground. Come along for a ride along the Shimanami Kaido cycling route and experience 70 kilometers of incredible views and glorious fresh air. Find some of the best hidden beaches in the Kansai region with this guide. A guide to the top luxury shopping options in Kansai. If you're a fan of summer, yet beach bumming just won't do, why not satisfy your tummy at one of these yummy beach joints? Before summer ends in Japan, go out and explore our Top 5 spots for summer eats! Paradise vacations don't always mean empty bank accounts. In Okinawa, there are many ways to enjoy an island idyll without having to pay off a scary credit card bill down the road. This list will show you how to save or splurge as per your desire! Some people crave listening to the crashing waves and feeling the sand between their toes. For those who live in Tokyo, you're in luck: a good number of beaches are just a local train ride away! If your bicycle tires are in need of some air, try stopping by a police station for assistance. Check out some of the best theme parks the Kansai region has to offer.